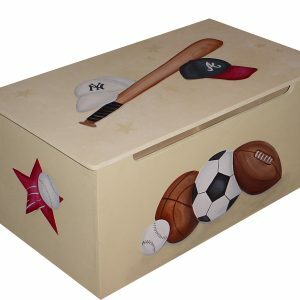 Cindy shares a story where she created one of her toy boxes for an adopted puppy who learned how to open the custom piece to retrieve toys! 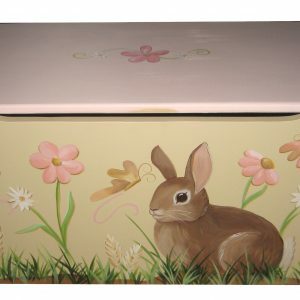 These hand painted boxes are beautiful and great for storage PLUS organization in a busy kids room or play area. I live by the famous words... do what you love and love what you do and you will never have to work a day in your life. I love, no the word is NEED, to be creative. I am blessed to have been given an artistic hand and I feel incomplete if I am not creating art in some form or another. 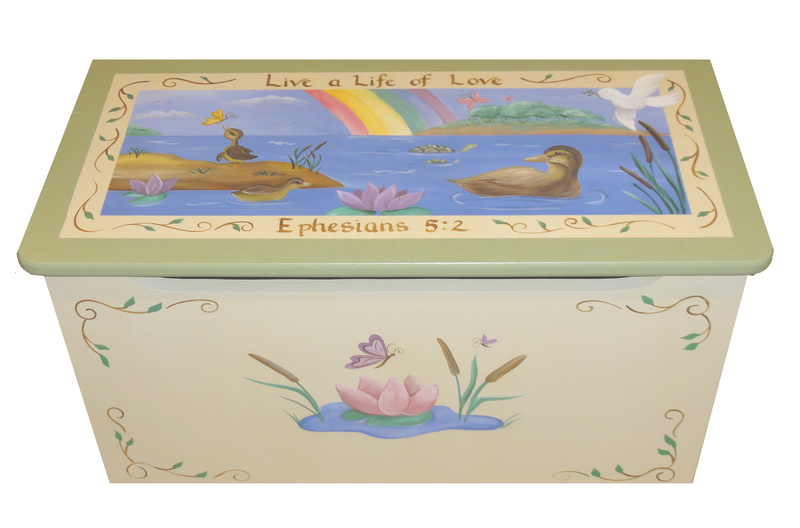 I have been painting professionally for 15 years and have enjoyed every moment of it. I am inspired by colors and the urge to see people happy. People are always joyful when you hand them something created by somebody's two hands as opposed to created on an assembly line. 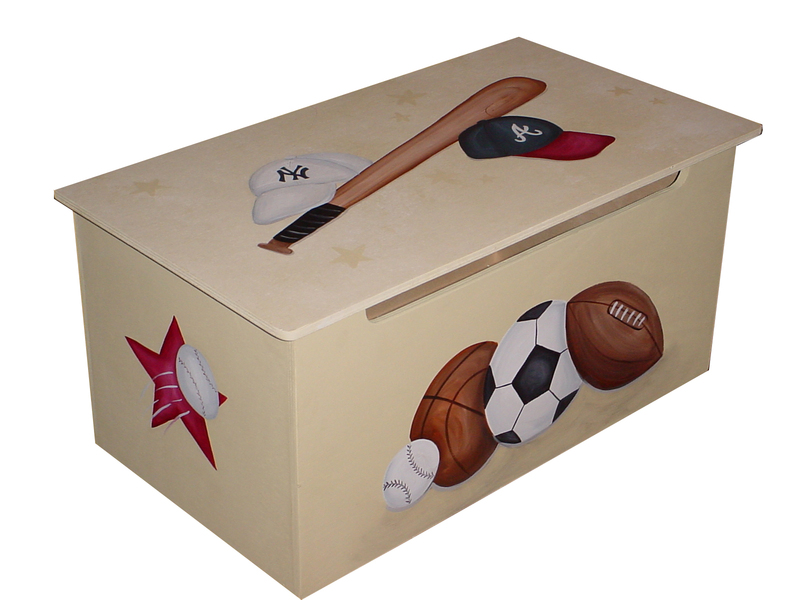 I recently painted a toy box for an adopted puppy. The owner was someone "who has everything" so her co-workers got together and purchased a toy box for her new rescue puppy. 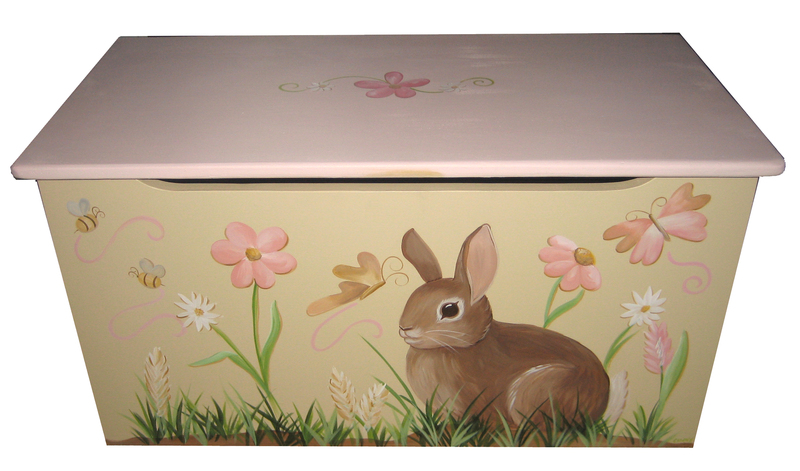 I painted the box in neutral tones so that it could be used anywhere in the house. Of course the feature of the box was the puppy's portrait on the front. After receiving the gift, the owner sent me a video of the four legged family member learning to open the toy box himself and retrieve a toy to chew on. I loved that! 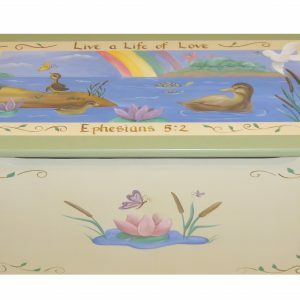 I paint children's rooms in and around the Charlotte, NC area and I paint toy boxes that can be shipped anywhere in the united States. Custom, custom, custom... you can create that special piece to suit you and your home exactly as you wish. You can capture memories only you know of in a custom piece.